Measurements -7 7/16" x 6 1/4"
These A7 Clear Plastic Envelopes fit greeting cards, invitations, and much more. 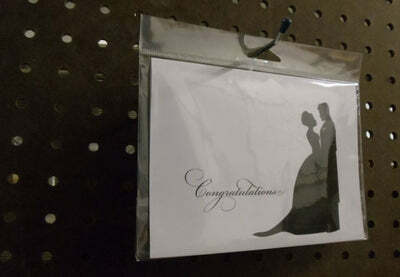 Clear Plastic Envelope bags can be used as a package for your cards or as a protective sleeve. The Hang Tab feature on these envelopes makes it easy to hang your cards on pegboards in stores or at your craft fair booth! A7 Clear Plastic Envelopes measure 7 7/16" x 6 1/4" when sealed (the Hang Tab section accounts for 1" on the top of the envelope). These envelopes are made to fit cards or envelopes up to 7 1/4" x 5 1/4". Each Clear Plastic Envelope features an self sealing adhesive to seal the envelope.